If you’re a serious driver who wants to get the most out of their pride and joy then performance brakes upgrade from DPF Solutions Sheffield is perfect for you. Our range of aftermarket performance brakes upgrades give your car the edge over the factory-standard, and along with our range of tuning, ECU remaps & performance upgrades allows you to unleash the real potential of what’s under your bonnet. We are the leading garages in Sheffield for performance parts. We have a huge collection of performance brakes for you to choose from, fitted by experienced Bosch-certified mechanics. We have a wide range of the brands available in stock such as Brembo, Black Diamond, and EBC. Brake discs, brake pads, and complete braking systems are available, and whether you need car tuning, sports suspension kits, engine remapping we can deliver whatever your car needs to boost performance. Setup can take place in our specialist Sheffield workshop, or for ECU performance remapping we can even sometimes come to you! We can obtain individual specialist parts as well such as brake rotors, calipers, drum brake shoes and fluids and lubricants if requested- so if you have a particular vision for your car, just ask. Our friendly staff will guide you in choosing the best performance brakes for your vehicle based on their years of experience installing car performance upgrades, with the focus always being on your goals, budget and use. We understand upgrades are about making your vision a reality, as safely and efficiently as possible- for that reason we won’t try to pressure you to buy the most expensive option- we want you to leave with the right choice for you. Whether you want a set of performance breaks for track racing, or just to improve your car’s braking distance on the road, we can cater to your needs. If you have already modified your vehicle in order to increase horse power (BHP) or torque, it is essential that you upgrade your braking system so it can react safely to the new power of your car. If you are thinking about modifying your vehicle, safety should be your number one priority and you should make performance brakes the next modification for your vehicle. If you are having problems with your current brakes, such as squealing, lack of responsiveness, vibrating or brake warning lights this can be dangerous and you should get them seen to immediately. You may need a replacement or a serious adjustment to your current brake pads. We also recommend checking your tyres to ensure safe braking with your car under increased power. We offer a wide range of performance tyres to ensure maximum grip and security in your contact with the road. You can contact us now to talk to an expert about our range in detail and find the best performance brakes for your car. Based on your needs, we will take you through the best brands and types of performance brakes and recommend the right choice for your requirements. 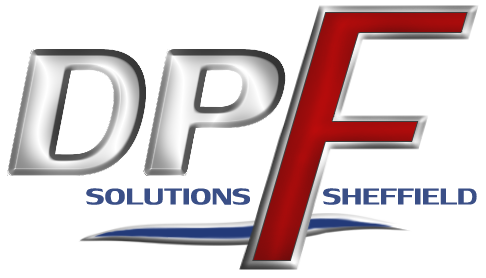 DPF Solutions is Sheffield’s complete one-stop-shop for upgrading your car. Why not also ask about our range of performance exhausts, sports suspension kits, and other car performance tuning. Lexus IS350 Equipt with Brembo Performance brakes, which we offer! Q: There’s a problem with my brake pads, what should I do? A: If you notice anything unusual about your break pads such as scraping, grinding or anything of that nature you should take them to a garage immediately. We will be more than happy to help. Q: I want performance brakes but I’m on a low budget? A: We have a large range of breaks available from low-budget to high, we can show you the cheapest options we have available.